Early Sugar Baby type watermelon hybrid (75 days). The plants have good vigor and the foliage covers the fruits well protecting them from the sunlight. Its round-oval fruits can weigh 7-9 kg with intensive red, crispy, sweet flesh. 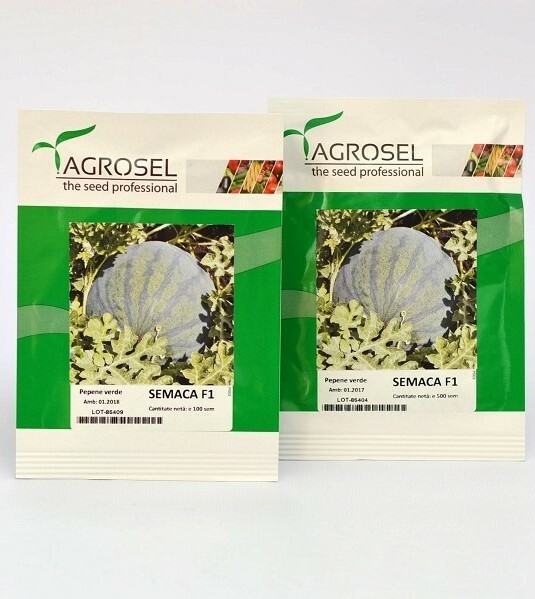 The medium green shell covered with greenish-blue thin stripes offers high commercial value; it can be a niche product. The medium thick shell offers good resistance to transport and handling. The hybrid can be cultivated in open field or protected with foil tunnels or agro-textile. Recommended density: 6.000 plants per hectare or 3000 plants grafted.